Dispatched, from the UK, within 48 hours of ordering. This book is in good condition but will show signs of previous ownership. Please expect some creasing to the spine and/or minor damage to the cover. Damaged cover. The cover of is slightly damaged for instance a torn or bent corner. Aged book. Tanned pages and age spots, however, this will not interfere with reading. Inscription on the first page, typically just a name but may include a dedication or a brief personal message. Very Good. Outrageous Acts and Everyday Rebellions (Flamingo) by Steinem, Gloria, 1985-04-11. 384 p. Flamingo S. . Index. Good. 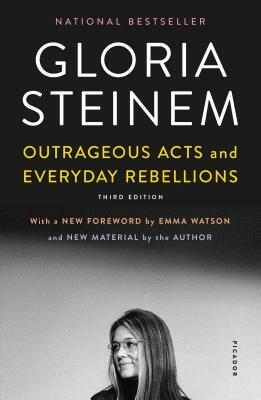 Outrageous Acts and Everyday Rebellions (Flamingo S. ) by Steinem, Gloria, 1985-04-11. 384 p. Flamingo S. . Index.